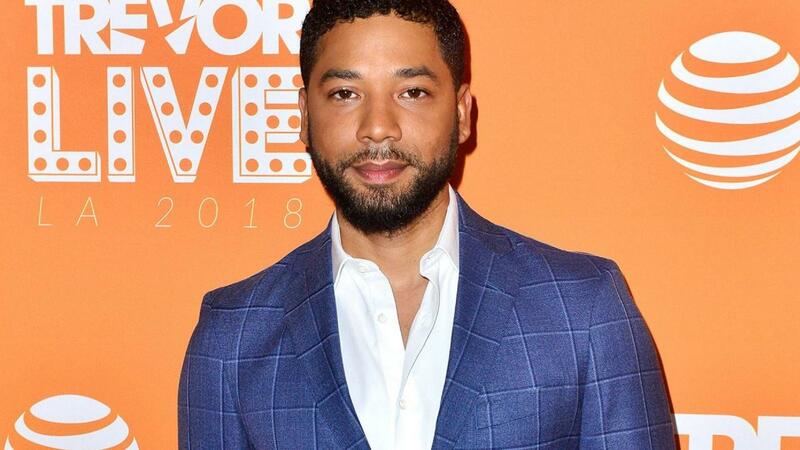 Hours after "Empire" actor Jussie Smollett gave his first interview about the alleged hate crime against him, Chicago police have reportedly identified two persons of interest in the case. "Through a meticulous investigation, #ChicahoPolice [sic] detectives have identified the persons of interest in the area of the alleged attack of the &apos;Empire&apos; cast member," a rep for the Chicago Police Dept. tweeted Thursday. "These individuals are not yet suspects but were in area of concern and are being questioned. Investigation continues." The individuals have not yet been publicly identified. Earlier Thursday, Smollett opened up about the horror he endured in his first interview since the incident, expressing frustration at not being believed about what happened — and said there may be racist, homophobic and political motives behind those who discount his experience. "I&apos;m p—ed off," Smollet, 36, told "Good Morning America" in an interview that aired Thursday morning, adding, "It&apos;s also the attacks." Those attacks, Smollett explained, were on his account of what occurred. "At first it was a thing of like, &apos;Listen, if I tell the truth, then that&apos;s it — cause it&apos;s the truth,&apos;" he said. "Then it became a thing of like, &apos;Oh, how can you doubt that? Like how do you not believe that? 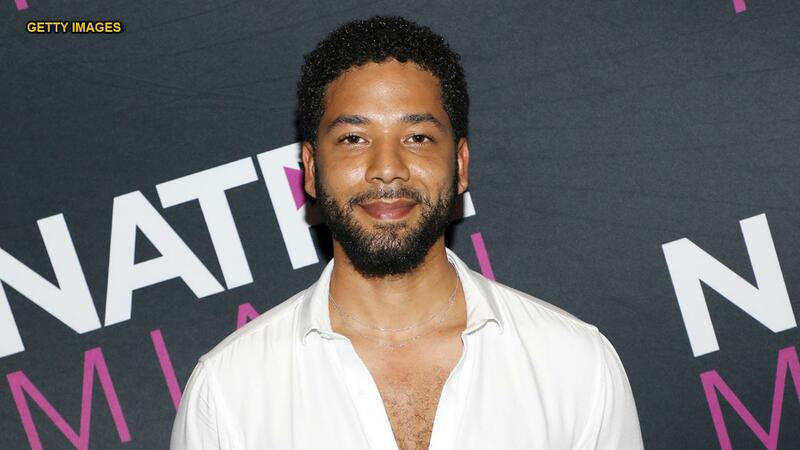 It&apos;s the truth.&apos; Then it became, &apos;Oh, you don&apos;t believe this isn&apos;t the truth — you don&apos;t even want to see the truth.&apos;"
Smollett recounted the alleged events of Jan. 29 to Robin Roberts. The singer-actor said he went out on a late-night food run to a local Subway restaurant and texted his manager, Brandon Z. Moore, who he thought was in Australia, telling Moore to call him. Moore called him right away, Smollett recalled, as he was walking through an intersection. While Moore was on the phone, Smollett said he heard someone yell "Empire" at him. "I didn&apos;t answer — I don&apos;t answer to &apos;Empire,&apos;" he said. "I kept walking, and then I heard, &apos;F—t &apos;Empire&apos; n—r!&apos; Then I asked, &apos;What did you just say to me?&apos;"
Smollett said he saw his masked attacker, who he claimed said "This MAGA country n—r" as he punched Smollett in the face. Smollett says he punched the attacker back. "It was very icy," Smollett recalled. "We ended up tussling by the stairs, just fighting, fighting." He said there was a second person involved kicking him in his back, but that he only saw the second attacker as the assailant was running off. "Then it just stopped and they ran off, and I saw where they ran," Smollett said, adding that his phone had been in his pocket but had fallen out — and that Moore was still on the phone and had heard the attack. Smollett says he told Moore that he&apos;d been jumped, and it was then that Smollett looked down and noticed a rope around neck. As a result, police requested Smollett&apos;s cell phone records, which he provided, but police said were "insufficient" because they were heavily redacted. Smollett said, "They wanted me to give my phone to the tech for three to four hours. I&apos;m sorry, but I&apos;m not going to do that. I have private pictures and videos, my partner&apos;s numbers, my costars&apos; numbers ... I don&apos;t know what that&apos;s going to be to hand over my phone." After police had declared the records insufficient, Smollett&apos;s crisis manager Chris Bastardi told Fox News that Smollett "is the victim here, which has been stated by the Superintendent of Police ... Jussie has voluntarily provided his phone records from within an hour of the attack and given multiple statements to police. Chicago PD has repeatedly informed us that they find Jussie&apos;s account of what happened that night consistent and credible. Superintendent Johnson has been clear from Day 1 that Jussie is a victim." Bastardi told Fox News that any redacted information was "intended to protect the privacy of personal contacts or high-profile individuals not relevant to the attack. We are continuing to work closely with the Chicago PD and remain confident that they will find Jussie&apos;s attackers and bring them to justice." As far as the rest of the incident, Smollett told "GMA," "It felt like minutes, but was probably 30 seconds honestly. I started screaming, &apos;There&apos;s a f—knig rope around my neck!&apos;"
Smollett says that because his attackers were masked, he was only able to give a description of the first assailant&apos;s physical build, noting, "It&apos;s Chicago in winter, people can wear ski masks no one&apos;s going to question that." He also believes the attack may be linked to a letter he received on the "Empire" set that had a return address just reading "MAGA" in large red capital letters. When CCTV footage came out that authorities believed may be Smollett&apos;s attackers, he felt relief that justice might be served. "I was there. For me when that [footage] was released, I was like, &apos;OK we&apos;re getting somewhere.&apos; I don&apos;t have any doubt in my mind that that&apos;s them. I never did." Smollett said it took police about 30 minutes to respond to the incident and admitted he hesitated initially to contact them about the incident. "There&apos;s a level of pride there," he explained. "We live in a society where as a gay man you are considered somehow to be weak. And I am not weak ... so during that time before they came, I was looking at myself, checking myself out. I saw the bruise around my neck, the rope burn. I smelled bleach, I know the smell of bleach." Smollett added that he saw bleach marks on his sweatshirt, which he was still wearing when police arrived. "I kept the clothes on. I kept the rope [on] ... I wanted them to see what this was," he said. Smollett said he requested that the responding police turn their body cams off because he "didn&apos;t want a big scene" with his neighbors. "We went down to where it happened and I walked them through what happened," he recalled. "I saw a camera on the light post directly above the intersection, and then the detective told me the camera inside the casing was facing north. That was disappointing." The camera not capturing the incident, Smollett says, led many to not believe his account — and he believes that there may be sociopolitical implications to his doubters&apos; disbelief. "The camera facing north — how is that my issue? I feel like if I had said it was a Muslim, a Mexican or someone black, I feel like the doubters would support me a lot more," he said, "and I feel like that&apos;s an issue in our country right now." Smollett also expressed frustration that there were false accounts of what happened. "[Rumors] said that they were wearing MAGA hats — I never said that. I didn&apos;t need to add anything like that. They called me a f—t. They called me a n—r. I don&apos;t need to add a MAGA hat as a cherry on the racist sundae," Smollett fumed. "They reported that I had fractured ribs, and that wasn&apos;t true," he added. "I was just in a lot of pain. My clavicle was messed up, my rib was bruised, but it wasn&apos;t cracked. I walked into the hospital. I walked out of the hospital." As for why he thinks the attack happened and the aftermath has been, in his view, less than positive, Smollett was blunt. "I come really really hard against 45. I come really really hard against his administration. I don&apos;t hold my tongue," he said, adding, "I can only go off of their words. I mean, who says, f—t Empire this MAGA country n—r&apos;?" When presented with footage of President Donald Trump denouncing the attack and telling press, "I think it&apos;s horrible. It doesn&apos;t get worse as far as I&apos;m concerned," Smollett replied, "I saw it. I don&apos;t know what to say to that. I appreciate him not brushing over it." Smollett is still trying to make sense of what happened to him. "I don&apos;t believe that everything happens for a reason," Smollett said. "We have the right and responsibility to make something meaningful out of the things that happen to us, good and bad." When Roberts asked Smollett what he&apos;d do if the attackers were never found, he began to weep. "I don&apos;t know," he said. "Let&apos;s just hope that they are. Let&apos;s not go there yet. I was talking to a friend and I said, &apos;I just want them to find them,&apos; and she said, &apos;Sweetie, they&apos;re not going to find them.&apos; So I&apos;m just going to be left here with this? I&apos;m just going to be left here, and they get to go free and go about their lives and maybe attack someone else? And I&apos;m left here with this aftermath, with this bulls—t ... I still want to believe with everything that&apos;s happened that there&apos;s something called justice."